Many of our clients use animal communicators to determine what their pet thinks and feels. This can help bridge the communication gap to determine what the pet needs physically and emotionally or why certain behavior persists. Health issues can sometimes be resolved by asking the pet what it feels in their body. Insight can be gained for releasing past trauma. Behavior patterns and “bad” habits can be changed once the issues are known and addressed. Pets appreciate your attempt to communicate. Below are some well-known animal communicators we have used. Find one that feels right to you and create a closer bond with your pet. Rebecca uses a combination of sympathetic communication and energy work to help people make conscious, confident decisions for their animal companions during times of transition, illness, and end-of-life. She has studied heart-centered meditation, Reiki, and Perelandra's Medical Assistance Program. She developed tools to help support the animals while living on a farm animal sanctuary in northern Colorado. Your animals may be stressed or angry depending upon what is happening in your household but with your help and openness, animal communication will address these issues and find ways for both of you to be happier together. I am always considerate of an animal's boundaries. All communication and energy work is conducted with absolute respect for the animal's highest good. 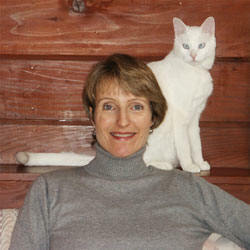 Kate Solisti, internationally known speaker, author and teacher, has been a professional animal communicator, communicating telepathically with animals since 1992. During this time she has worked with holistic veterinarians and individuals, assisting in solving behavioral problems, understanding health problems, healing past traumas, and facilitating understanding between humans and non-humans. 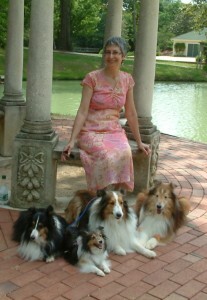 She is the author of Kinship with the Animals, Conversations with Dog, Conversations with Cat and Conversations with Horse and numerous other books and publications (www.optimumchoices.com/human-animal_rel-B.htm). Kate is a guest faculty member at the International School for Professional Horsemanship in Merle, Belgium, teaching seminars on the human/horse relationship. She teaches Canine Nutrition and Bach Flower Remedies at the Lang Institute of Canine Massage in Loveland, CO.
Due to her highly empathic nature, Alecia conducts sessions by phone for clientele around the world. Her gift allows her to read the animal’s or person’s energy stream with an astutely high level of accuracy and clarity. An Animal Wellness Consultation is an assessment of the physical, emotional, psychological and spiritual state of your animal. All Animal Wellness Consultations also include a recommendation for: optimum nutrition, any necessary Flower Essences, herbs, or supplements and emotional understandings that are relevant to assisting in correcting the imbalance that your animal may be experiencing. Alicia is the creator of the columns “Doolittle’s Corner” and “The Udder Side”, found in the Summit Independent Daily, and the Aspen Daily News (www.aspendailynews.com). She is also a featured columnist for muttmonthly.com. As a lecturer and workshop presenter, Alecia developed and taught the five week course, “An Intuitive Approach to Animal Wellness” at Naropa University, in Boulder CO. Her TV show appearances include: Fox and Friends, New York Central, The Sandra Glosser Show, and The Sabine Christensen Show. Alecia is also the founder of All Beings Equal Foundation- a non-profit organization dedicated to bridging the gap of understanding between humans and animals, through the National Heritage Foundation. 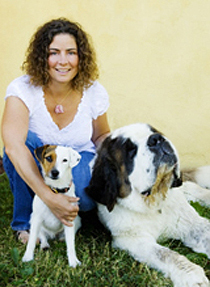 Kat Berard is an internationally known speaker and teacher, with a worldwide practice dealing with all situations and issues, including animals in spirit. 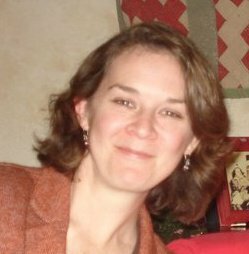 She is also a medical intuitive and energetic healer. 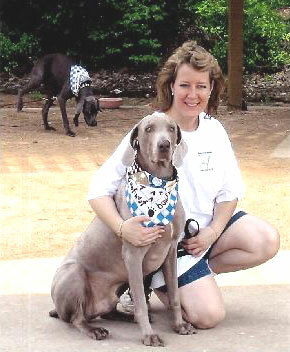 Animal communication is her specialty, and she loves it! (Animal communicators are also known as pet psychics.) She thoroughly enjoys assisting others in this manner. Communication sessions (and utilizing Bach flower essences if appropriate), can resolve mental, emotional, physical and spiritual issues in animals, and help the client gain a better understanding of their animal companions. Equally important to her is the joy she experiences from educating animal lovers about holistic animal care, feeding a raw diet, and the issues surrounding over-vaccination, among others. If you are interested in learning about animal communication, what the animals teach us, Bach flower essences, natural care and more, Kat has a free bi-monthly email newsletter you can sign up for. Just send an email with your full name to kat@katberard.com and put "Subscribe to newsletter" in the subject line. Claire-Hélène's passion is to help us understand our animal's individual need. Ever since childhood animals have brought her happiness, tranquility, unconditional love, respect and a sense of belonging. Through her numerous holistic services (animal communication, Reiki, herbs, flower essences, aromatherapy and crystals) she can help you maintain and improve the health of your pet by evaluating their whole body (body, mind, heart and spirit). No matter where you are located, Claire-Hélène can provide you with diverse, holistic, natural services in a way that best suits your lifestyle. She finds animal communication is so interesting and fun to speak to them. Animals have different personalities and ways to express themselves just like humans. She works with you so that together, you establish a strong foundation to build upon to help the animal’s body back into balance and wellness.